TORONTO — The Canadian Football League is saddened to learn of the passing of hall of fame defensive lineman James ‘Quick’ Parker. The native of Philadelphia was 60. Parker was inducted into the the Canadian Football Hall of Fame in 2001 after a dominant 12-year career which saw him finish fourth all time in quarterbacks sacks with 139.5. He also still sits as the all-time leader in single-season sacks with 26.5 which he accomplished in 1984 with BC. 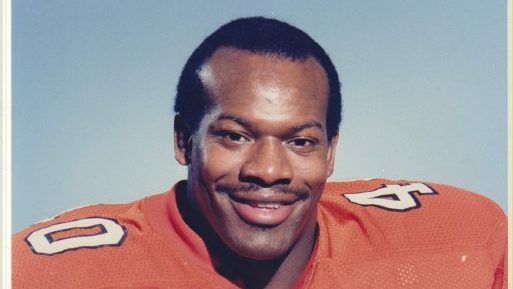 Parker started his career with the Edmonton Eskimos from 1980 to 1983 before joining the BC Lions in 1984. While with the Lions, Parker appearing in 87 regular season games over six seasons. He was a three-time selection as the CFL’s Most Outstanding Defensive Player (twice with BC) while also earning five CFL All-Star selections (three as a Lion). A four-time Grey Cup champion, Parker anchored a Lions’ defence that took home the title in 1985. In 1990, Parker joined the Toronto Argonauts where he spent a season-and-a-half before closing out his career.